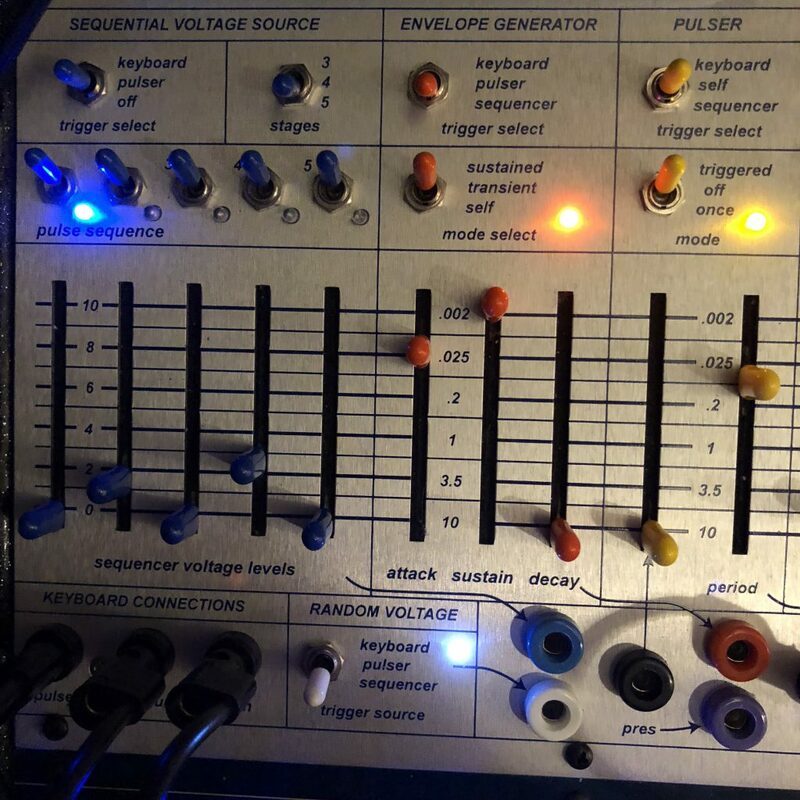 I mentioned earlier that one of the amazing and frustrating things about the Buchla Music Easel is it’s limitations. By giving you a limited set of options it forces you to think of creative ways to do things and saves you from the paradox of choice that you can run into on a larger modular system where you have so many things you can do that you can’t decide on any of them. This is freeing and fantastically exciting to see how many different ways you can mix the same limited pieces. That said, occasionally there is something you want to do and you just can’t. You can trigger the sequencer, envelope generator and the pulser with the keyboard, the sequencer and env gen with the pulser, the env gen and pulser with the sequencer but you can’t use the envelope generator to trigger anything. On my Make Noise system I’m always using the EOC (end of cycle) on Maths to trigger things and I’m dying to do something similar on the Easel. Perhaps this is something I can unlock with program cards or expansion cards or something but that doesn’t help me right here right now where I really want the sequencer to step only once the env gen has completed a cycle.